Come for Block Three Beer, Amazing Bands and Food by the Culinary Studio! 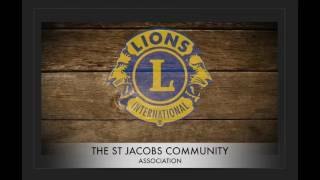 Proceeds from this event will go towards programs and amenities for our local community through the St. Jacobs Lions Club. Build excitement, increase visibility and attract attention by including unlimited photos and multiple albums right on your Micro-Site. Great place to include photos from past events, sponsor logos, speakers and performers! Videos attract and create interest and send a powerful message to a large audience. Add unlimited posted YouTube videos to showcase your offering. You even have the option to make a video “featured’ so it auto-plays when your Micro-Site is clicked for viewing!